If you teach Pre-Kindergarten to 6th grade, fill out a form to schedule a class tour. Middle and high school teachers may contact Teen Librarian, Cathy Janovitz to schedule a tour for their classes. Classes and groups MUST schedule all tours. We cannot accommodate non-scheduled groups. Tours are conducted on Tuesdays, September through May. Visits may begin as early as 9:00 a.m. but should end no later than 11:00 a.m.
We recommend a 5:1 ratio of children to adults and only 2 classes per tour. 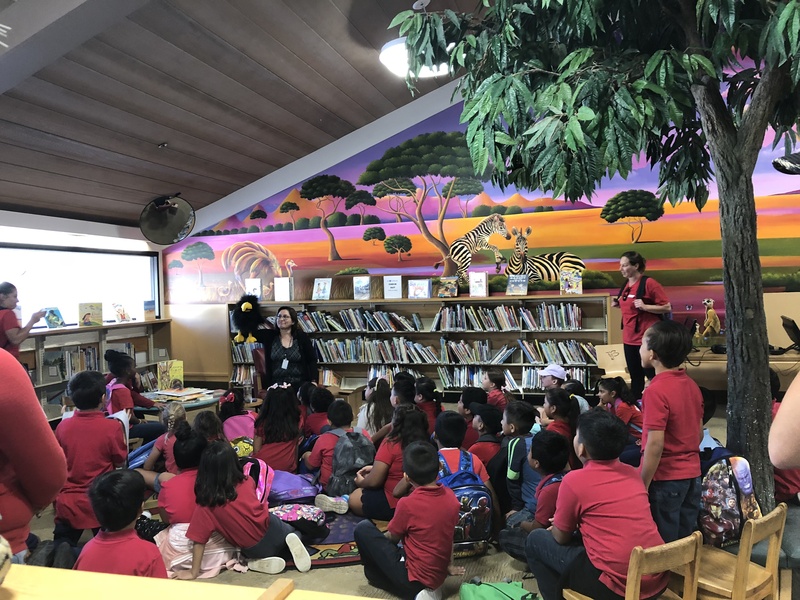 Preschool, Kindergarten and First Grade Tours will consist of a brief introduction to what is found in the Children's Library, how the library works, a short tour, and a story time. Grades 2-3 Tour will consist of an introduction to the library, how to care for your books, your responsibilities of having a library card, and a story time. Grades 4-6 Tour will consist of an introduction to the library, a complete tour and overview of services provided, a story or an introduction to materials on a particular topic or subject, online resources, and how to use the online catalog to search for books. Students may borrow books on the day of the class tour only if they already have a library card. Library cards will not be processed during the time of the tour. Need assistance on homework assignments? Students can use our research databases, which can be accessed through the library computers or a personal computer with their library card.